NYC-based actor, director, writer and piano player, Galia Barkol wrote, directed and starred in the dramedy feature MIA (Sundance Screenwriters’ Labs semifinalist) - now on the festival circuit. 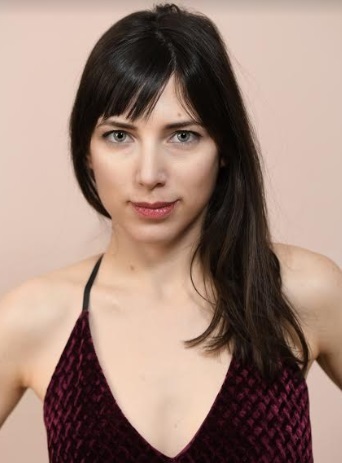 Galia recently appeared on screen at the 2018 Tribeca Film Festival VR section, and she is currently developing a pilot for an original comedy series. Galia graduated from Paris-Diderot University in Paris, France, with a B.A in Film & The Performing Arts. She was awarded a scholarship for the program MICEFA, with distinction, and completed an Acting conservatory program at HB Studio. She founded Ring the Bells Productions, where she developed and produced several experimental shorts, with the intention to explore the relationship between structure and narrative in film. Through discoveries made in these works, Galia crystallized her approach to filmmaking and acting. For more on Galia Barkol visit www.galiabarkol.com. When my mind is set on something, I get it done one way or another. I don’t give up easily. When I make a real connection with another person, I feel bliss. It doesn’t happen very often. Authenticity and openness turn me on. - I want to play women who are written intelligently and clearly - who challenge the traits and break the patterns that we’ve collectively inherited from mainstream Hollywood, and as a result from our society. - Create a semi-futuristic, urban comedy series - “Deep Yearning” - now in development. Let’s see what happens. A personal decision I made at some point to do what’s right for me and learn to live with others’ disapproval. Oh, and creating an indie feature has been quite a challenge, so I am proud that that’s made! More on tha below. When my dad was diagnosed with dementia. The time I spent with him since his condition deteriorated, has given me the most heartbreaking but also the most graceful moments in my life. I guess terrible events have the power to make us present, to make us feel life more vividly. I don’t think I’d had truly looked into my dad’s eyes until his disease gave me the permission to break our habitual ways of communication. - Merav Michaeli, an Israeli parliament member and true feminist. She fights to make changes in policies, to truly improve people’s lives in Israel and Palestine. She recognizes the nuance and complexity in situations, regardless of her general political orientation. She is incredibly smart and sophisticated in the way she goes about achieving her goals in the tough Israeli political landscape. She is also unafraid of sharing views that may sound to some as outrageous or ridiculous, such as “We must cancel marriage.” Check this one out on TED. - Filmmaker Sarah Polley. She takes risks! She doesn’t get stuck doing the same thing just because it works. Her work is bold and intelligent, and I deeply relate to the issues she finds worthwhile exploring. - Former US ambassador to the UN Samantha Powers. I’m in awe of how ego-less and full of compassion she is, fighting for those who don’t have a voice, and doing it so humbly and persistently. My passions are acting and creating! I especially enjoy working on screen. I love creating pieces that are centered on existential questions, and which nudge us to raise doubts where we take things as givens. I am also excited about size-diversity/body politics activism. The war on fat – which the diet industry elegantly calls “being healthy” - keeps so many people, of all sizes, trapped in a small world of obsession and self-hate. I see size-discrimination and healthism as primarily feminist issues. As we make progress on that front, we will have more brain power available to tackle the real challenges that our species is confronted with today.